Fresh white crab meat marinated with fresh ginger, coriander and red chili flakes, with fresh cream and cheese. Served with salad. Bite size pieces of chicken, marinated in yoghurt, cashew nuts, cream, elachi chick pea flour, ginger and sugar, skewered and grilled in the tandoor. Marinated scallop of lamb, stuffed with pickled mango, rolled on rice noodles and egg, cooked in the tandoor for a unique taste. Chef's signature dish. Home smoked breast of duck served with fresh salad. Spicy stuffed potato cakes pan fried, served on a bed of spicy fried chickpeas with tamarind chutney and cumin raita. Home smoked tandoori salmon flavoured with mustard oil and dill, served with fresh salad. Whitebait dipped in slightly spiced rice powder and red chili flakes, shallow fried Jaipuri style. Baked aubergine steak, mixed with cheese and sesame seeds with a yoghurt sauce. Minced lamb spiced with fresh herbs, skewered and topped with a light vegetable coating, cooked in the tandoor. Choice of spicy fresh vegetables or lamb mince, wrapped in pastry and fried until golden brown. Lightly spiced king prawns tossed briskly with shredded ginger, garlic and spring onions. The ever popular spiced onion fritters. A combination of malai kebab, piazi, samosa and seekh kebab gilafi. Marinated scallop of lamb, stuffed with pickled mango, roasted with peppers. Tender lamb chop marinated with ginger and chefs special sauce. Pan fried Sea bass on a bed of crispy spinach, red chili and ground spices. Spring chicken on or off the bone marinated and infused with spices, chargrilled and then slowly cooked in a rich medium sauce, truly authentic and highly recommended. Tender pieces of chicken breast stuffed with minced lamb and spinach, cooked with fresh cream, coconut and mild masala sauce. A supreme cut of lamb given the traditional Goan treatment. Full of flavour, tomatoes, peppers and coriander and cooked in a medium sauce. Not to be missed. Lamb on the bone and baby potatoes cooked with curry leaves and fresh herbs and spinach. An Anglo Indian specialty developed when the British were laying railway tracks in India. Tikka of chicken with a hint of whiskey cooked with peppers, sun dried red chillies and red onions. Exquisitely flavoured with rich spices, a mouth-watering dish. Tender pieces of grilled chicken, marinated with herbs, spices and ground almond. Very mildly spiced. Garnished with mango pulp. Lamb off the bone cooked in a handi pot over a slow fire, with yoghurt, rich spices and fresh herbs with spicy flavour. Duck breast marinated in garlic, ginger, mustard, coriander and honey, then grilled on a tawa — served with stir fried noodles. King Prawns poached in coconut and lime leaf sauce. A very mild dish served with pilau rice. An assortment of vegetables cooked in korma of south India, flavored with coconut milk, garlic and fresh curry leaves. Medley of vegetables, potatoes, broccoli, cauliflower and mushroom, with Paneer, in a refreshingly spiced yoghurt masala. Marinated duck cooked with onions, peppers, tomatoes and aromatic medium spices. Pieces of on the bone chicken cooked with onions, garlic, peppers, tomatoes and lamb. Fairly hot dish. Very tender lamb cooked with garlic, ginger, peppers and plum tomatoes. Very authentic medium Kashmiri dish. Chicken cooked with crispy potatoes and melted cheese with chef's magical secret ingredients to give an unforgettable mouth watering taste, medium dish. King prawn mixed with authentic spices, cooked with garlic, peppers and tomatoes. Fairly hot, chef's signature dish. Cooked with tomatoes, spring onions and curry leaves, medium spiced dish. Chicken or lamb cooked with aromatic spices and herbs, mouth watering medium dish. Chicken, lamb or king prawn cooked with onions, garlic, tomatoes and rajasthani chillies. King prawn cooked with tomatoes, garlic, peppers, onions and fresh herbs, served in medium sauce. Tilapia fish mixed with aromatic spices and herbs cooked with garlic, tomatoes and spring onions served with medium sauce. Chicken, lamb and king prawn mixed with aromatic spices, cooked with onions, peppers, coriander based medium mouth watering dish. Homemade cheese (paneer) infused with herbs & spices, with garlic yoghurt and tandoori masala skewered with onions, capsicum and courgettes. Home smoked tandoori salmon flavored with mustard oil and dill, served with salad. A choice of bite sized pieces of marinated chicken or lamb roasted with tomatoes, onions and green peppers. Tandoori king prawns in chef's own marinade. Half a spring chicken delicately spiced, marinated and cooked in the tandoor, giving it that distinct chargrilled flavour. Tender lamb chop marinated with fresh ginger and tandoori spices. Medley of chicken tikka, lamb tikka, seekh kebab gilafi and lamb chop. Authentic dish cooked with Himalayan basmati rice. Flavored with cardamom, cinnamon, cloves and rose water, served with chef's special sauce. Britain's most popular dish. A choice of chicken or lamb tikka, in a creamy sauce of fresh tomatoes, butter and cream (perfect dish for beginners). Extensively prepared in cream, nuts and mildly spiced. A well spiced, fairly hot dish. A drier than usual curry packed with flavour. A medium flavored dish cooked with whole spices and garnished with fried onions. A Persian dish—hot sweet and sour with lentils. Medium dish with green herbs in a rich sauce of cherry tomatoes. Hot and sour with a thick tomato and onion source. Delicious curry with spinach, medium to taste. A popular dish, cooked with tomatoes, onions and coriander, fairly spicy. A rich hot curry with onions, ginger, capsicums, tomatoes and fresh green chillies. For vegetable main dishes please add £2 to the price. Chickpeas cooked with mild masala sauce. A selection of three different vegetables of your choice. Filled with almonds, coconut and raisins. Filled with assorted cheese, onion and chillies. Topped with garlic, peppers, spring onion, prawns and cheese. A combination of three different naan. Cool whipped yoghurt with cucumber and onion. Prawns tossed in very light spices, together with mixed lettuce, red onions, peppers, cherry tomatoes in a special Samsara dressing. Grilled chicken tikka with mixed lettuce, red onions, peppers, cherry tomatoes and samsara dressing. Had a lovely birthday meal with our son. Food was great, back if not better than it used to be. Will definitely be back soon! The madras was spicier than other indian restaurants in the area which ruined it. Also very expensive and we were on a table near the step and infront of the till. As i got out of my chair i tripped up the step. I was frustrated as i asked if we could have another table due to the step when we arrived. I liked the atmosphere and the waiters were friendly and efficient. My wife and I started off with a surprisely lovely cocktail in the bar area followed by a really enjoyable and tasty meal. The only qualm a had was the quality of the chicken in my curry felt a bit dry and a little stringey, but this would not put me off going back again as it may of just been a one off and maybe a bit over cooked. The rest of the food was first class and the wine was delicious. We really like Samsara and it’s one of our favourite restaurants. Attentive service and good value plus very good Indian food. We booked New Years Eve, but were not warned that there would be live music. This performer was too loud which meant my wife and I could not enjoy the evening out together. Food was okay, but there are other better Indians nearby. We'd only just moved back to the area and were looking forward to revisiting the restaurant as it had been one of our favourites a few years ago. When we popped along it had just had a re-fit and a change of menu, we didn't think this new menu was too appetizing so didn't go along. However a couple of weeks ago it had relaunched a menu close to the original we had known from a few years ago so went along. The food was really good, just what we'd remembered, the staff were friendly and accommodating. The only slight downside for is was that the portions were a bit on the small side and as this isn't the cheapest of restaurants it was a bit frustrating. Apart from that we had a lovely evening and will be returning. We'll have to remember to order more starters and sides! Since it was reopened, we have made two visits for dinner and have really enjoyed dinner here on both occasions. Booked this on-line only to discover the restaurant was closed upon arrival. Thankfully the Village Charcoal Grill opposite was open so we had a lovely meal in there instead! The service started off very enthusiastic, however too 'in your face' , unfortunately it wasn't backed up in respect of waiting an HOUR before the meal arrived! Hence a 10% was deducted from our bill, but I'm afraid I won't be going again! Nice modern Indian restaurant. Food was excellent, a little pricey compared to competition but we will be going back again as the food was superior in our opinion. I read a few sniffy reviews following the closure and refurbishment but all was good when we visited no change except the new bar position. Great restaurant. Fab cocktails and very attentive staff. Lovely food too. When we arrived our Open Table booking had not been registered by the restaurant. The Manager has failed to check his online bookings. We were seated in the bar area and were told we could order food at the table. We asked for menus and were given a complimentary drink after I asked for them for the inconvenience. Nobody came to take any orders and we had to ask twice for poppadoms and side condiments. After nearly two hours we asked if we could place a food order, a wait disappeared saying he was going to get a table to take our order. After 20 mins of waiting, I asked to see the manager. We left the restaurant after nearly two hours and frequented a restaurant over the road. Appalling service. Would not recommend to anyone. We decided to go to samsara for an anniversary meal with our family after it had been refurbished. We waited 15 minutes to order drinks which arrived 40 minutes later wrong! We had eaten the snacks before the drinks arrived. Despite the manager coming up to say they had a full curry menu the food we wanted to order was not available. He also advised on some parts of the menu not to order! We decided to ask for the bill as we could see that the evening was not going to be good. Eventually the bill came and when we paid the till was broken so we couldn’t get any change! Disaster all round. Until it changes back to a proper curry house we will not be returning! Ruined what was an excellent restaurant. Now the food is rubbish, not good value, please please bring back the old menu. Not good. This used to be a good restaurant, but has been spoilt by recent changes. This used to be such a good restaurant, but since the refurb there is less food choice (with even less as one of the ovens has yet to be installed); waiting staff seemed untrained and confused. All in all a disappointing experience. Been a number of times before renovation and had a lovely time service and food was outstanding but on this occasion the Restaurant was closed. Very disappointed as it’s the 2nd time it’s happened!! Surprised you can book a table if it’s shut. on their website their grand opening was 14 August so we booked a table for the 16th. Booked a babysitter, turned up and they were closed!! When I called to see why, they said they had had delays so I asked why not call all those who had booked and was not given a valid answer, just offered a paltry glass of wine if we were to return which in this situation is pathetic. We have dined here tens of times, the food is usually great and were excited to see their new offerings but if this is any reflection on the management I think we’ll give it a miss. Booked through opentable for Sat 4th Aug for a birthday meal for 4 people. Arrived to see the restaurant was closed and looking through the window it has been gutted. No notice on the doors to say closed. Opentable remove Samsara of your site.... wasted our time!!!! We booked this restaurant after looking through the website and and opentable and after paying for a group of 6 people to get there by taxi to find the restaurant was closed. Not only costing us to travel there but left without a plan for a special occasion, we are now skeptical booking places for special occasion via their websites and opentable. Usually LOVE it in here - however it has been closed for refurb but this was not made clear - until we got there. Even having a confirmation email to say the booking has been made. We have been to the Samsara a couple of times before, but on this occasion we didn't stay to eat. They took 25 minutes to take a drinks order and popadom order. 15 minutes later the popadoms arrive but they got this wrong as we ordered half plain half spicy, only plain arrived. Two drinks finally arrive just after the popadoms when they then inform us that the bottle of wine we have ordered is unavailable. He offered us miniature bottles, but not at the same price. Sainsburys is next door, so a bottle of wine could have been sourced. At this point 40 minutes or so after we sat down, we left. Went to The Saqui in Carshalton Beeches and had a fine meal and drinks as requested for the 6 of us. Curry restaurants can sometimes just seem the same. But this restaurant has very individual flavours and absolutely delicious at a reasonable cost. This has changed hands twice and is named for being a cocktail place as well as Indian dining. When we ordered our cocktails off the menu we were told there was not the ingridients for the ones we wanted and we should try a woo woo. (Basic in my opinion) and our waitress informed us the barman uses google to make them!. My food was cleared before we had finished eatining it. So all in all a bad evening and a bill of £240. really good food. tasty dishes and good service. noise levels were high but think just a Friday night so was quite hard to hear. Also don't understand why the big screens were on took away from dining experience. If I wanted to watch football better to go to pub rather than to a restaurant was quite distracting and I don't think anyone was actually watching it. Had a lovely birthday meal, special birthday balloon was on the table. good service, lovely food and a free after dinner drink for each person in our party. Have been here 5 or 6 times and have always had a lovely meal. Very rowdy due to Sky Sports coverage. Poor service and fairly bland main courses. Really enjoyed our meal. The service was great with very efficient and attentive waiting staff, on hand to replenish poppadoms quickly, amongst other things! My group shared a starter of saag paneer and saag aloo, which was delicious. I ordered a chicken dopiaza for my main course. It was tasty but I could have done with a little more sauce and a little more spice. The decor of the restaurant was lovely, contemporary and tasteful. We visited on a Saturday evening. It was very busy with a vibrant, buzzy ambience. I would certainly visit again. Great lunch for mother’s day. Not overly crowded reasonable & good service. Lovely food, good service, and a nice reastaurant to visit for a special occasion. Not the cheapest, but worth the extra. 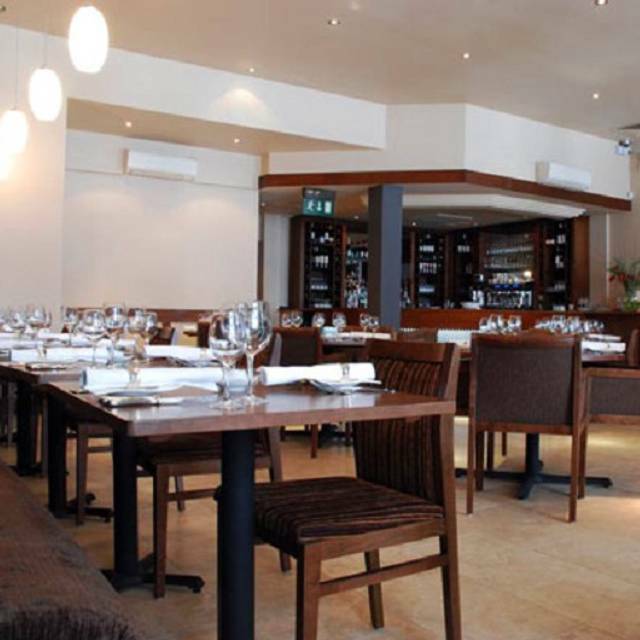 We visit this restaurant regularly and are never disappointed by the food or the friendly atmosphere.